The Royal Air Force Charitable Trust is delighted to welcome three new members to its board of trustees. Raj Mody, Felicity Chadwick-Histed and Stephen Barrett joined the charity in March and between them, possess a vast array of experience and knowledge to benefit the charity. This now brings the total number of trustees to ten, including Chairman Sir Kevin Leeson, with Justine Morton the Trust Director. Additionally, the RAFCT retains close links with the RAF, primarily through Assistant Chief of the Air Staff. Chairman Air Marshal Sir Kevin Leeson served for 38 years in the RAF. An Engineering Officer, he served in a variety of appointments in maintenance, acquisition, logistics and plans and programmes. His final appointment was as Chief of Materiel (Air) in MoD Defence Equipment & Support and a member of the Air Force Board and Chief Engineer (RAF). 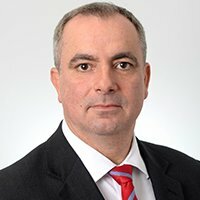 He has served as a member of the Board Safety Review Committee at British Airways and is currently Director of Military Affairs with Airbus UK and a Senior Advisor with Atkins Defence and Security. He was appointed a Commander of the Most Excellent Order of the British Empire in the Queen's Birthday Honours List 2003 and became a Knight Commander of the Most Honourable Order of the Bath in the New Year's Honours List 2012. Sir Kevin has had a long association with the Royal International Air Tattoo, starting as a volunteer in 1992, before becoming a Vice President in 2009, a Vice Patron in 2011, and taking over as Chairman of the RAF Charitable Trust in 2013. Trustee Born in 1946 in Leicester, Alan has spent most of his career working in retailing. Following a Business Studies Degree at Leeds Polytecnic, Alan rose through the ranks of Joshua Tetley, before being appointed Managing Director of Victoria Wine. He then joined the Kingfisher Retail Group, first as MD of Superdrug, then B&Q, before moving to the role of Chief Executive of Boddingtons, Evans Halshaw, Punch Taverns and Somerfield Food Stores. His final executive role was as Chairman and Chief Executive of Robert Dyas. Alan is Chairman of ScS Group plc and Displayplan Ltd and a Non Executive Director of NAAFI. 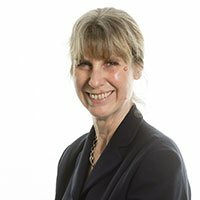 Trustee Delia is a practising Family Law Barrister at St John's Chambers Bristol. Prior to moving to Law as a profession, Delia was a nurse and midwife and spent 8 years serving in the RAF as a Flight Lieutenant midwife and Aeromedical Evacuation Nursing Officer. She played an active role in the Aeromedical Evacuation of the injured during the Falklands War and led the first Aeromed team to land at Port Stanley. Delia has also held positions on the main grants committees of both SSAFA and the RAFBF. Trustee Andy Sudlow served in the Royal Air Force for 32 years as a pilot. He was a Qualified Weapons Instructor and a Qualified Flying Instructor and has flown the Jaguar, F-16 and Tucano aircraft. His last appointment was Director of Flying Training and he maintains an active interest in aviation as a volunteer pilot for the Air Cadet Organisation. Other appointments have included the Ministry of Defence, the UK Joint HQ, command of the Expeditionary Air Wing in Afghanistan and an exchange with the Royal Netherlands Air Force. Trustee Ian is Group Director Engineering & Operations with the QinetiQ Group. 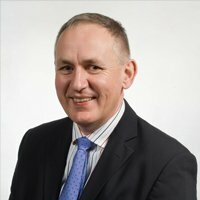 He is the head of profession for QinetiQ's Engineering, Science and Technical (EST) community and holds responsibility for Technical Assurance, including Aviation Assurance within QinetiQ. In addition, he also oversees the QinetiQ Safety, Assurance and Sustainability function. He joined QinetiQ in 2006. Ian started his career as an Aircraft Engineering Apprentice in the RAF, and served as an aircraft technician, prior to being commissioned as an Aircraft Engineering Officer. He completed 22 years' service with the RAF. On leaving the RAF he became the Business Unit Director of 2 large Aircraft Maintenance, Repair and Overhaul organisations, where he drove a business change initiative using LEAN methodology. In addition to his engineering qualifications, Ian is a Chartered Director and a qualified Executive Coach. He is passionate about STEM outreach and developing high performing teams and is committed to helping individuals attain their full potential. Trustee Peter is a Partner at PwC where he leads the People & Organisation HR Management Consulting practice. He joined PwC in 2010 from Accenture. Peter served as an RAF Education & Training Officer from 1989-2001 having been an RAF sponsored cadet at Exeter University. His postings included RAF Brize Norton, RAF Sek Kong, HQ British Forces Cyprus, RAF Staff College Bracknell and RAF Akrotiri. He also did two tours as Staff Officer to the Chief of Air Staff. Peter is married to a retired Army midwife and they have 2 young children. Trustee Joining the RAF Charitable Trust as a Trustee in 2016, Kate brings her experience of being married to a serving RAF officer, with the rewards and challenges for their family of numerous postings in the UK and abroad in Cyprus and Germany. Kate is a practicing litigation solicitor with an international law firm, specialising in larger value personal injury cases. Growing up and attending University in Australia, Kate qualified as a lawyer and practiced in Sydney and London before moving permanently to the UK in 1994. Kate also sits on the Main Grants Committee of the RAF Benevolent Fund. Trustee Stephen was brought up within the RAF family, but myopia dashed hopes of a career piloting fast jets and so, after university and law college, he qualified as a solicitor and worked at two major law firms within their corporate and capital markets practices. From the law he moved into investment banking as a deal advisor and originator, initially managing and then in a senior director role leading merger and acquisition, public securities offering, restructuring and privatisation transactions. He subsequently joined a global consulting and professional services firm as a senior partner, chairing the firm's international corporate finance advisory business, developing its risk management function and leading global service delivery to key client accounts. Latterly he has assumed a number of public sector board advisory and non-executive roles, including nine years' service as a Royal Air Force non-executive director and member of the Air Force Board. 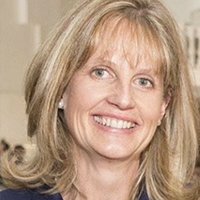 Newly appointed Trustee Felicity Chadwick-Histed, brings to the Royal Air Force Charitable Trust board her experience from a career in income generation and marketing in both the corporate and charity sectors. Felicity grew up with tales of her Grandfather's experience as an MC-winning Royal Flying Corps pilot in World War 1, and his decades in the RAF thereafter, and of her Great Uncle who was lost in 1943 when a Flight Engineer in a Halifax. It is because of this, and recent connections with London Wing's Air Cadets, that supporting the RAF's community is important to Felicity, especially those in need plus the young people and Cadets who will form the RAF's future. 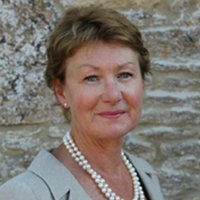 She has 25 years charity board governance experience, 30 years working in income generation and fundraising in both commercial and charitable organisations; plus experience of founding and running companies and charities. Extra RAF connections come through Felicity's extensive City of London network, where she is a Liveryman of the Worshipful Company of Glovers. 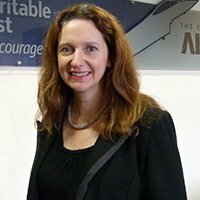 Felicity is delighted to be joining the Board, and looks forward hugely to contributing through the RAF CT to help the Trust promote, support and encourage future young people to achieve their potential through the charity's work. Raj Mody is an actuary and a Partner at PwC. He is head of Technology Investments for the firm, supporting its efforts in developing technology-enabled capabilities for clients. 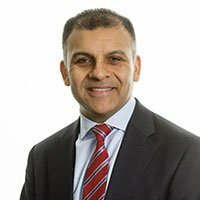 He is a Fellow of the Institute of Actuaries and also advises major companies and trustee boards on the actuarial, financial and risk issues relating to their pension funds. Raj has had a passionate interest in aviation-related matters and STEM throughout his life. He spent time in the RAF Combined Cadet Force reaching Cadet Warrant Officer. He graduated with a first class MA degree in Mathematics from the University of Oxford, with a special interest in fluid dynamics. While his career has been in professional services, he has maintained an active private pilot's licence as a hobby, flying Robinson R44 helicopters. He is married to an NHS GP and they have two school-age children. Director of & Secretary to the Trust Justine Morton is a recently retired Royal Air Force Group Captain who has had extensive experience in the world of personnel in both command, staff, joint and single service appointments. She also brings experience to the Director role from chairing a board of trustees for a leading autism charity.